Environment Canada has issued a heat warning for Edmonton and the northeastern part of the province. High temperatures have triggered a heat warning for Edmonton and the northeastern part of the province. 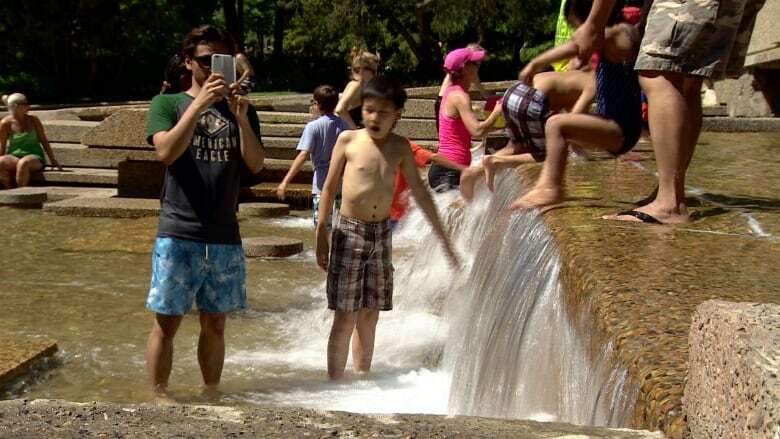 Environment Canada issued the caution to Albertans on Monday afternoon as forecasts for the next few days showed temperatures will soar to 29 C or more, with minimum overnight lows near 14 degrees. The heat wave is expected to last until Thursday night with slightly cooler temperatures on Friday. Other locations that will the heat are Bonnyville, Drayton Valley, Fort Chipewyan, Fort McMurray and Fort Saskatchewan. Leduc, Lloydminster, Spruce Grove and Westlock are also on the list. To beat the heat, Environment Canada recommends taking frequent breaks from the heat, scheduling outdoor activities to cooler parts of the day, and spending time in air-conditioned public buildings such as malls. The agency warns against leaving a person or pet inside a closed vehicle for any length of time and recommends keeping an eye on vulnerable individuals such as seniors, those in poor health and outdoor workers. Signs of heat stroke or exhaustion include confusion, fainting or lack of sweat.